Florida State senior wide receiver Rashad Greene has been selected as an Atlantic Coast Conference Football Player of the Week for a league-leading fourth time and leads the list of honorees for Week 11. Greene was named the ACC Receiver of the Week following his performance in the Seminoles’ 34-20 win over visiting Virginia. He was joined by FSU teammate Mario Edwards Jr., who was recognized as the ACC Defensive Lineman of the Week for the second time this year. They were joined by a trio of Georgia Tech student-athletes in ACC Offensive Back of the Week Synjyn Days, Offensive Lineman of the Week Shaquille Mason and Linebacker of the Week Quayshawn Nealy. Other honorees for Week 11 are Defensive Back of the Week Gerod Holliman of Louisville, Specialist of the Week Jamison Crowder of Duke and Rookie of the Week Wayne Gallman of Clemson. The weekly honor is the second of the season for Holliman, who was also named the National Defensive Player of the Week by the Walter Camp Foundation. Georgia Tech’s Mason was honored as the ACC Offensive Lineman of the Week for the second time this year. Duke’s Crowder became the first player this season to be honored at two positions after being tabbed as the ACC Receiver of the Week following the games of Week 10. Gallman has been recognized as the Rookie of the Week following each of Clemson’s last two games. OFFENSIVE BACK – Synjyn Days, Georgia Tech, Sr.-r, RB, 6-2, 232, Marietta, Ga.
Days rushed for a career-high 157 yards and a touchdown (8.3 yards per carry) in Georgia Tech’s 56-23 win at NC State. Days’ career-long 53-yard TD run with two seconds left in the first quarter put the Jackets up for good and set off a 49-3 Tech scoring run. Days now has three straight 100-yard rushing games, setting a career high for rushing yards in each game. He is the first Georgia Tech back with three straight 100-yard rushing games since Jonathan Dwyer in 2009 (four straight). Days needs 25 yards to become Tech’s 45th 1,000-yard rusher. Of his 503 rushing yards this season, 414 have come in the last three games in place of the injured Zach Laskey. OFFENSIVE LINEMAN – Shaquille Mason, Georgia Tech, Sr., OG, 6-1, 311, Columbia, Tenn.
Mason anchored Georgia Tech’s offensive line that paved the way for season-high 479 rushing yards in the 56-23 road win at NC State. Tech’s offensive line did not allow a sack, and the Yellow Jackets lost only 10 total yards on 64 rushing attempts. Mason’s number was called as the lead blocker on three rushing touchdowns – Synjyn Days’ 53-yard run and two Tim Byerly quarterback keepers. WIDE RECEIVER – Rashad Greene, Florida State, Sr., WR, 6-0, 180, Albany, Ga.
Greene had a career-best and an ACC season-high 13 receptions for 136 yards and one touchdown in Florida State’s 34-20 win over Virginia on Saturday night. Greene’s 22-yard touchdown catch extended FSU’s lead to 21-13 in the second quarter, and he had nine catches for 94 yards at halftime. Saturday’s performance marked Greene’s sixth 100-yard game and third game with double-digit receptions this season. Greene leads the ACC in receptions (71) and receiving yards (989) by wide margins. DEFENSIVE LINEMAN – Mario Edwards Jr., Florida State, Jr., DE, 6-3, 294, Gautier, Miss. Edwards powered the Seminoles’ victory over Virginia with a career-best and team-high nine tackles, including four tackles for loss in addition to a forced fumble and a sack. Seven of his tackles were solo stops. On Virginia’s first offensive play, Edwards tackled Cavaliers’ running back Kevin Parks for a three-yard loss and forced a fumble. On Virginia’s third play, Edwards again stopped Parks for a three-yard loss. Later in the second quarter, Edwards had a sack for a four-yard loss and finished with six tackles and three tackles for loss by halftime. His 4.0 tackles for loss are the most by a Seminole in a single game this season. Edwards’ efforts up front helped the Seminoles hold the Cavaliers to just 37 yards rushing – a season-low for an FSU opponent. LINEBACKER – Quayshawn Nealy, Georgia Tech, Sr.-r, LB, 6-1, 236, Lakeland, Fla.
Nealy recorded six tackles, a 43-yard fumble return for a touchdown and a 71-yard interception return in Georgia Tech’s 56-23 road win at NC State. It marked his fourth career defensive touchdown and second this season. The interception was the eighth of Nealy’s career, and the 71-yard return was the 15th-longest in school history. The 43-yard fumble return stands as the fourth-longest in school history and the longest since a 40-yard return for TD by Jerrard Tarrant vs. Mississippi State in 2009. DEFENSIVE BACK – Gerod Holliman, Louisville, So.-r, S, 6-0, 206, Miami, Fla.
Holliman picked off three passes – the second most in school history for a single game – in the Cardinals’ 38-19 ACC road win at Boston College. The three interceptions gave him a school record of 13 for the season and tied the ACC record set by NC State’s David Amerson in 2011. Holliman, who also leads the nation in interceptions this season, needs one more pick to tie the NCAA single-season record. He has picked off a pass in eight of 10 games and has registered multiple interceptions in four contests. 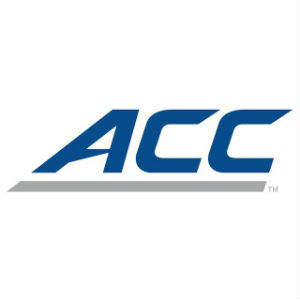 SPECIALIST – Jamison Crowder, Duke, Sr., PR, 5-9, 175, Monroe, N.C.
Crowder snapped a 10-10 tie with a 52-yard punt return for a touchdown in Duke’s road game at Syracuse on Saturday, sparking the Blue Devils’ to a 27-10 win. Crowder finished the day with six punt returns for 106 yards (17.67 yards per return) to match the eighth-highest single-game total for punt return yardage in Duke history. He has now matched the school career record for punt returns for touchdowns (three) also held by Elmore Hackney (1935-37) and Jay Wilkinson (1961-63). Crowder added nine catches for 59 yards from his wide receiver position. ROOKIE – Wayne Gallman, Clemson, Fr.-r, RB, 6-1, 200, Loganville, Ga .
Gallman had his second straight 100-yard rushing game and delivered 149 yards from scrimmage in the Tigers’ 34-20 win over Wake Forest. Gallman rushed for 106 yards on 19 carries (5.6 yards per catch). His 30-yard touchdown run in the fourth quarter put the Tigers up 34-20 and iced the game. Gallman also had four catches for 43 yards, including a 16-yard touchdown reception. He is the first Clemson back to have a touchdown receiving and rushing in the same game this year.